A new study recently published in the JAMA Network journal Otolarynology – Head and Neck Surgery, brings to light the inconsistencies between newborn screening results and childhood hearing. Nearly 1,000 child hospital records were reviewed for the study. 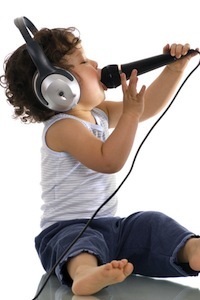 All children had been diagnosed with hearing loss between 2001 and 2011. Researchers pulled 78 patients from the records reviewed. Each of the patients had passed the newborn hearing screening in the hospital, but later failed a hearing test in childhood. Issues of hearing impairment were either raised by parents or by school officials after a school hearing screen. Conclusion: Children who pass the newborn hearing screening are not necessarily out of the woods in terms of hearing loss. School hearing tests and parental reports of hearing loss symptoms should not be overlooked because an infant passed the initial hearing screening at birth. Additional hearing tests may be needed to rule out hearing loss in children, even if they passed the newborn hearing screening. Source: Dedhia K, Kitsko D, Sabo D, Chi DH. Children With Sensorineural Hearing Loss After Passing the Newborn Hearing Screen. JAMA Otolaryngol Head Neck Surg. 2013 Jan 17:1-5. doi: 10.1001/jamaoto.2013.1229.